However, a major new study published in Nature has found a number of “bright spots” where corals are doing much better than anyone expected. What is special about these reefs? It boils down to how much the coral reefs are fished by people. The study is based on more than 6,000 surveys of reefs in 46 countries. The findings are that areas that experienced the most harvesting of fish for the global marketplace suffered the most. These denuded reefs included places in the Caribbean, off the African coast, and near populated parts of the Indo-Pacific. 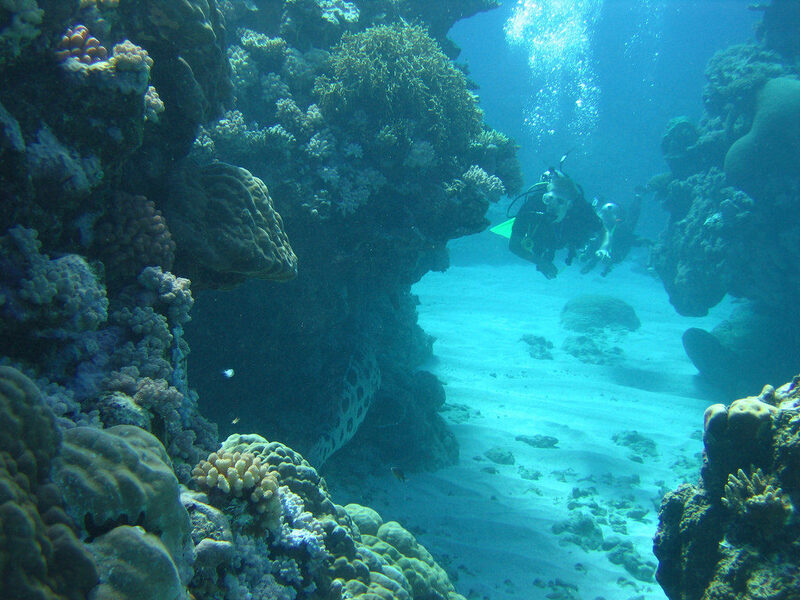 In contrast, reefs where sustainable practices took place were in the best shape. These included ones in the Solomon Islands, parts of Indonesia, Papua New Guinea, and Kiribati, an environmentally-conscious atoll in the Pacific. Looking at these bright spots, the researchers found that areas with traditional tenure rights — where local people are allowed to harvest fish and invertebrates and outsiders are not — tend to have the healthiest reefs. Where people have always been dependent on this resource for their livelihoods, the reefs do the best. The recommendation of the study is that governments should regulate markets to encourage better stewardship of the ocean. Coral reefs are under a great deal of stress from the changing climate; we can’t make matters worse by unsustainable fishing. Photo, posted July 5, 2006, courtesy of Flickr. ‘Good News for Coral Reefs’ from Earth Wise is a production of WAMC Northeast Public Radio.